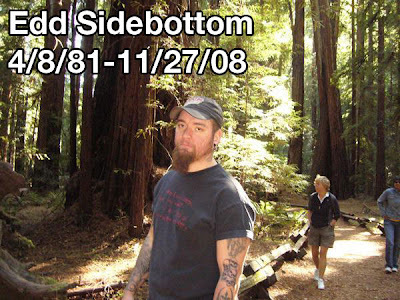 Edd Sidebottom, better know to Scape Films viewers as “Georgie” in Falling Apart, passed away last night. Edd you will be missed. You were a talented guy both on screen as an actor and off screen as a musician and tattoo artist. Not to mention an all around great guy.